The U.N. Human Rights Council recently passed a resolution on “traditional values of humankind” as a vehicle for “promoting human rights and fundamental freedoms.” It sounds innocuous, but its implications are ominous. Indeed, it is an immediate threat to the rights of many vulnerable groups – including women and lesbian, gay, bi-sexual and transgender (LGBT) people. And it flies in the face of the founding principles of universality and indivisibility enshrined in the Universal Declaration of Human Rights. This is the third Russian-sponsored traditional values resolution adopted by the Human Rights Council. The second, in 2011, called for a study, and the resulting draft study is highly critical of “traditional values” as a framework, criticizing the concept as “vague, subjective and unclear.” The third, though, adopted on September 27, affirms traditional values as a valid framework for human rights. We would like to thank everyone who attended the award ceremony and reception for Ambassador Susan E. Rice, especially our gracious hosts. For those of you who were not able make it, you can view some photos from the event. Ambassador Rice’s remarks, at the event, were not only moving, they were humorous, determined, and and most of all genuine. So glad that the LGBT community has an ally with her principles and drive. Stay tuned for a short video of the award ceremony. Click to read related content. Will the Candidates Address Issues Impacting LGBT Communities at Home and Abroad in the Upcoming Presidential Debate? With two presidential debates remaining before the November 6 presidential election, will the candidates address issues impacting LGBT communities at home and abroad? 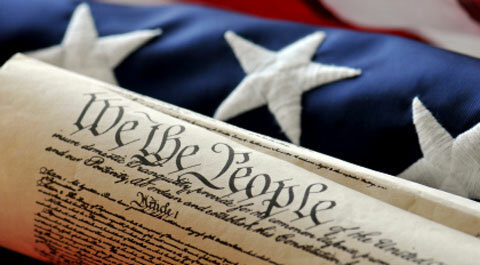 Whether, or how, their personal ethics embraces the cause of LGBT equality. How they would direct USG departments and agencies with respect to using our foreign policy and developmental assistance tools to advance respect for LGBT rights. A clear statement as to whether LGBT fairness and equality, at home and abroad, will be a priority for them as President. The world still respects America’s foreign policy voice. Over the coming four years, one of these two men can do much to impact how LGBT people are treated, at home and abroad. We need and deserve to know whether they are committed to take up that cause. 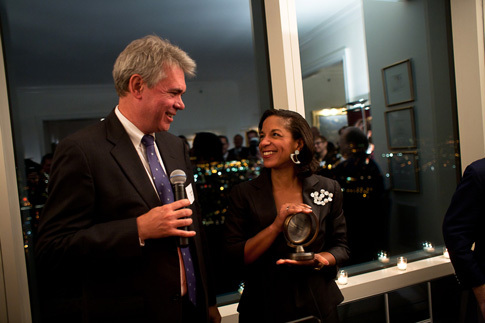 October 10, 2012 – The Council for Global Equality honored Ambassador Susan E. Rice, U.S. Permanent Representative to the United Nations, with its 2012 Global Equality Leadership Award at a reception this evening at the home of Mitch Draizin and Fritz Brugere-Trelat. The award recognizes U.S. leadership in support of LGBT equality in the United States and abroad. Congresswoman Tammy Baldwin was the last award recipient. Former U.S. Ambassador Michael Guest, a former State Department colleague of Rice and currently a Senior Adviser to the Council for Global Equality, presented the award to her. In his remarks, he noted the leadership qualities he had seen in Ambassador Rice across her many years of public service and described how those qualities had empowered the UN’s growing recognition that LGBT rights are human rights. Julie Dorf, also Senior Adviser to the Council for Global Equality and the founder of the New York-based International Gay and Lesbian Human Rights Commission (IGLHRC), which advocates for LGBT rights globally, noted Rice’s leadership in securing UN recognition for IGLHRC, the first such UN recognition for an LGBT group from the United States. That status allows IGLHRC to speak in support of LGBT rights at UN human rights fora. IGLHRC’s current Executive Director, Jessica Stern, also thanked Ambassador Rice for her leadership and noted the role that organizations like hers are playing in partnering with supportive governments to advance LGBT equality for all. Under the leadership of Ambassador Susan Rice, the United States has finally joined our closest allies in the UN in condemning violence, harassment, and discrimination based on sexual orientation and gender identity. And by directing the full force of U.S. diplomacy to such long-neglected human rights concerns, Rice helped put LGBT rights firmly on the UN agenda with an unprecedented new appeal to all countries in all regions. In accepting the award, Rice said that the struggles in support of LGBT equality at the United Nations are some of her “proudest moments at the UN,” recognizing that “together, we’ve made a bit of history. The UN is far different today than it was four years ago.” The Council for Global Equality is proud to be a partner in such history and proud to recognize the leadership of Ambassador Susan Rice. The Council for Global equality is proud to announce the selection of, Ambassador Susan E. Rice, Permanent Representative to the United Nations, as the recipient of the 2012 Global Equality Leadership Award. Across her tenure, Ambassador Rice has spoken eloquently to the principle that, like all minorities, lesbian, gay, bisexual and transgender (LGBT) people worldwide are entitled to the same protections, respect and rights accorded to others. Under her leadership, the United States joined the UN General Assembly in condemning violence, harassment, and discrimination based on sexual orientation and gender identity, and led in restoring sexual orientation to a keystone UN human rights resolution against extrajudicial executions. By directing the full force of U.S. diplomacy to that issue, Ambassador Rice helped put LGBT rights on the UN agenda with an unprecedented new appeal to all countries in all regions of the world. 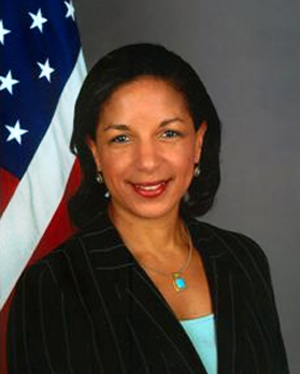 Ambassador Rice’s leadership was also crucial to the success of the International Gay and Lesbian Human Rights Commission (IGLHRC), a Council member, in securing consultative status to the United Nations Economic and Social Council. At the United Nations, unfriendly governments long have fought to exclude LGBT organizations and experts from participating in UN human rights meetings. Indeed, that battle is now a proxy for the larger recognition of LGBT rights at the United Nations. Without the leadership of Ambassador Rice, IGLHRC and other LGBT organizations might still be excluded from such important debates. Ambassador Rice has consistently grounded our U.N. Mission’s representation on these matters in principles embodied in our country’s founding documents, as well as those contained in the United Nations’ Universal Declaration of Human Rights. Her leadership is in the best traditions of U.S. diplomacy. The Global Equality Leadership Award will be presented to Ambassador Rice on October 10 in New York at a private reception. (Berlin) – Serbia’s ban on the Belgrade Pride Parade, scheduled for October 6, 2012, violates the country’s international legal obligations and should be immediately repealed. On October 3, the Interior Ministry announced that based on an assessment of security risks, it was blocking the peaceful demonstration and all other public gatherings on the same date. Things seemed grim, last fall, for John Brandoli, a US citizen in Massachusetts, and his Trinidadian husband, Michael. Though their marriage was recognized by the state, it did not come with the benefit they most urgently needed. Because of the federal Defense of Marriage Act (Doma), John could not sponsor Michael for a green card. As a result, Michael was facing deportation to Trinidad, one of the most dangerous places in the hemisphere for gay people. Michael’s American husband and mother-in-law were very anxious when they called my organization, Immigration Equality, for help. Our team – which talks to lesbian, gay, bisexual and transgender immigrants every day – mounted a media and advocacy campaign to stop Michael’s deportation. Thanks to his determined family, and the support of Senator John Kerry, he won.